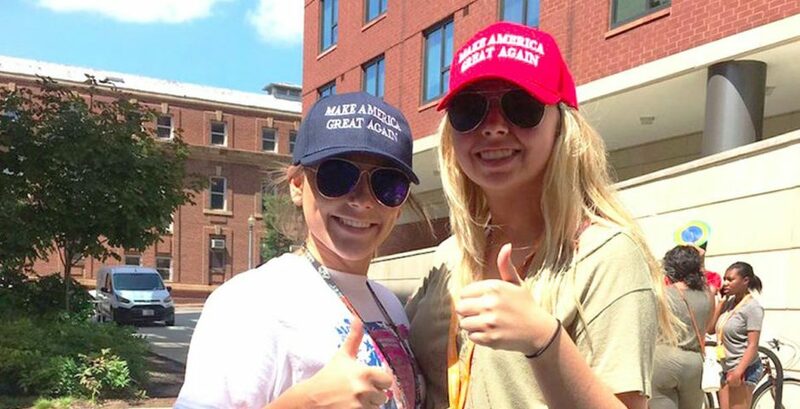 One of the girls who made the extremely bad decision to wear a Trump t-shirt and MAGA hat to Howard University has spoken out — to say she's not apologizing. 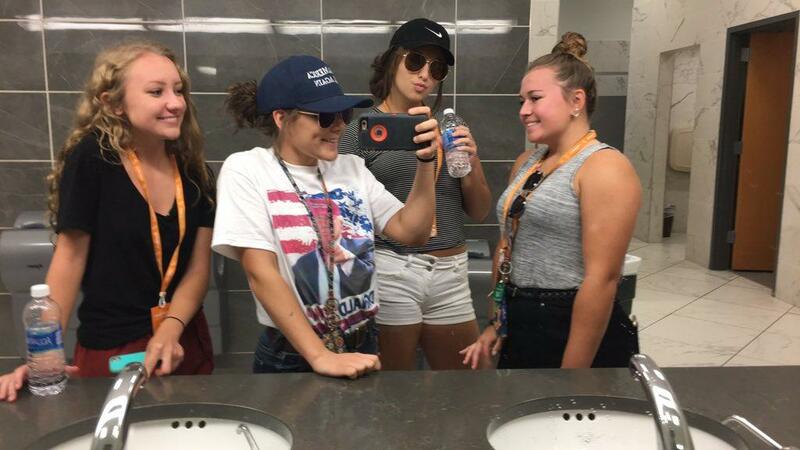 Allie Vandee, a high schooler from Erie, Pennsylvania, was ridiculed this weekend when she wore her Trump gear to the most famous HBCU in America. Although she says she was unfairly mocked, she admitted in an interview with The Tab that she would "just lay low" instead of doing it again. So was all this a publicity stunt or what? I'm part of this thing called Talent Search, which is where you meet once a month to discuss your college career. They show us different colleges and took us to DC to see the history and stuff. They thought it would be a good idea to eat at a college. Normally when we go on these trips, we eat at different colleges to show kids what it's like – we did it at Cleveland State. So we didn't get much background on Howard at all from our DC tour guide. He never said it was a predominately African-American school. Either way, in my defense, it shouldn't matter what I wear anywhere and when I wear it. Had you not heard of Howard before? It's the most famous HBCU in the America. Like I said, I'm from Erie, Pennsylvania. We don't really know. Honestly, I didn't know that there were historically black colleges. I didn't know it was a thing because we don't have them up here. So this was a little bit of culture shock, and I'm taking a lot of good and positivity from this lesson. 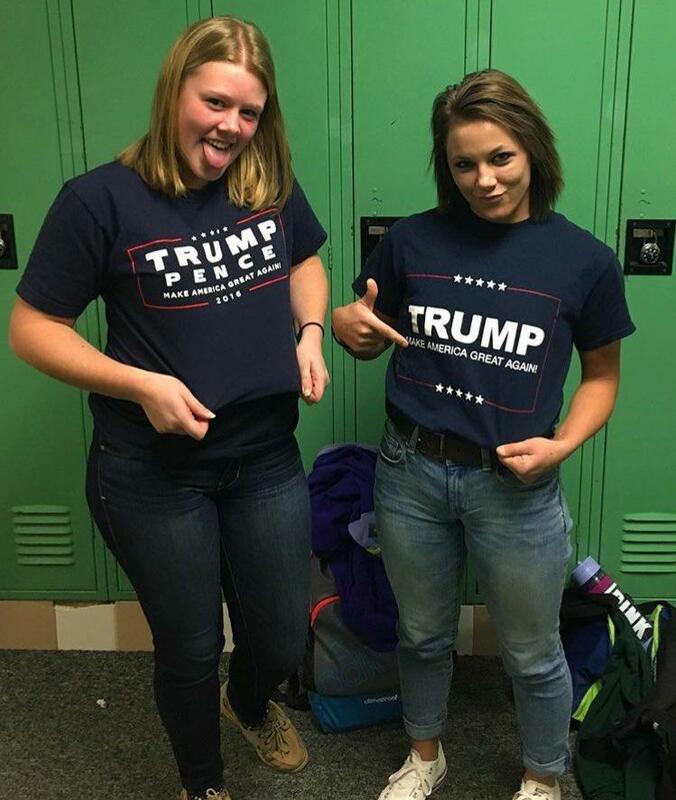 But I honestly had no idea it was a historically black college and these people are harassing me for not knowing I did, but I swear to God, me and my friend were innocently wearing Trump stuff. We stopped at Howard on the way home and we were harassed. How did it feel to have your hat stolen and be shouted at? It was my friend's hat that was stolen. She was like, what the heck? She didn't know if the guy who took it was joking or not, but then he kept walking with it. Finally our advisor was like, give her her hat back and ran off to get it. I was just like, oh my gosh. I was a little bit intimidated. Why would they take her hat? I realized this must be like, anti-Trump. I was wearing a shirt and a hat. So we walked into the cafe and we received a lot of dirty looks. People were taking pictures of us and laughing at us. Actually a girl was videotaping us in line and saying: "Who do these people think they are?" They were putting us on their Snapchat. I really did not expect that. I can walk and roam the streets in Erie and wear as much Trump gear as I please and none of that would happen to me. Have you had a lot of messages? I've had well over 500 direct messages harassing me, but also a lot of support. One person said they found my address and they're going to come and kill me. One said they wish my mom would have aborted me. Kill yourself, you're a racist, you're a white supremacist, you're a Nazi. It's way out of hand. But there are a lot of people out there who say: "Thanks for standing up for what you believe in." Do you see where the students were coming from, now you've learned a bit more? Oh, absolutely. But there's different ways to approach the situation. They were saying I was racist, a Nazi, a white supremacist, in the KKK and that is not the case. If I want to support my president and your president, then I'm going to do as I please. It would be different if I walked in with KKK and Nazi stuff. Donald Trump is not a Nazi. They weren't just labeling me, they were labeling our president as these horrible groups. The way they approached the situation was horrible and completely uncalled for. Having seen the impact you've had, will you say sorry for what happened? I will say sorry for your misunderstanding. I won't apologize for supporting our president. Like I said, I can roam the streets in Erie, I can walk around DC all I want and wear as much Trump stuff as I want. I never realized going into Howard I would be harassed. Another opinion of mine is, if they don't like The Beatles, and I wore a Beatles shirt, then I don't think I'd be as harassed. Basically, it's the same type of thing. Do you think not liking The Beatles is the same as not liking Trump? Sort of. They're both people. If you don't like something and you can't change it then you need to accept it. Because for eight years, I had to accept Obama. And even though eight years ago, I didn't understand why Obama was elected because I was so young. I now look back and realize I didn't like what he was doing. If Trump was to run again, he would have my vote. Why do you think the students at Howard didn't want to see your Trump stuff? At first I was like, OK, I get it – some people don't like Trump. And some people are really aggressive about politics. But for them to physically touch my friend's attire is uncalled for. I understand where they're coming from with the Charlottesville incident. That whole thing was a mess. I'm still amazed that people will go and rally and bring Nazi stuff. It doesn't mean I agree with that at all. After the students explained to me about Charlottesville, they said primarily that was the reason why they were talking to me. They felt as if Trump was siding with the KKK and the Nazis when in reality he wasn't. He waited to present his opinion on the situation when he had all the facts. I have the utmost respect for him for doing that, and that is not what the liberals wanted. Were you able to have lunch in the end? No, the harassment was starting to get really bad. I told my advisors it wasn't safe. I felt safer when I got on the bus. A student had stood up and said: "Take those racist hats off." They never said anything to me when I was supporting my present and showing my love for him until someone in the cafe started the mocking. They were absolutely threatening against me. And what did they say that stuck in your head? It started with "Take those racist hats off!" and someone actually said "eff y'all." And later: "we found your address", "we're coming to kill you", "you should kill yourself", "you have no lips." I've had 500 messages to me saying I need to do because I support my president. Knowing that I would be harassed as bad as I was, I would still love Trump. I feel as though to keep the peace, I would just lay low. Will you go back to Howard? I will never return to Howard. I will never even go near there. After the death threats and saying they want to beat me up, I would not put myself in that situation. Just stay classy and avoid it. Why do you think it's not a classy place? I'm saying to myself: stay classy, don't cause any drama. Conversation is edited for clarity and length.